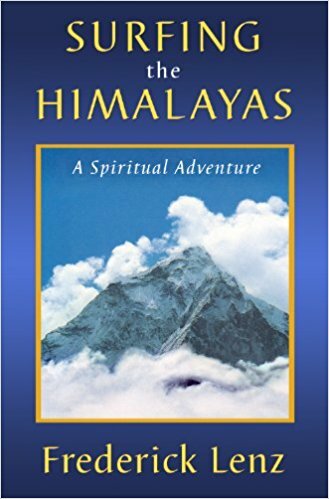 Rama - Dr. Frederick Lenz, was an American-born enlightened Buddhist teacher. Since Buddhism had adapted in very different ways in countries such as China, Japan, and Tibet, Rama taught Buddhism in contemporary American terms while strictly adhering to the highest traditional standards. He defined the core process as "Self-Discovery," and the spiritual practice as "The Enlightenment Cycle." The Enlightenment Cycle is a balanced combination of intensive daily meditation with full participation in the world, rather than a separation between monastic and worldly life. He believed that is the quality of your morning meditation that enables you to overcome workplace obstacles, and then through excellence in the workplace positive internal energy is generated that in turn fuels an outstanding evening meditation. This daily cycle is the modern "short path" to enlightenment. �Why, it means that the world is perfect. Nothing and no one can change it at all. The invisible world that only the enlightened can see is essence�it is eternal life. That is what we return to when we die. We go back into perfect eternal light for a while, and then we reincarnate. �This world that you see before you is reborn and dies every moment. When it is born it comes out of the invisible world�the world that you cannot see. When it dies it returns to that world too. That world is perfect consciousness. There is no suffering there, and there is no sense of loss, gain or pain.